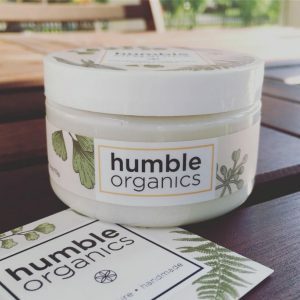 Humble Organics skincare products, from Annemarie Ruiz, are all-natural, as simple as possible, and made from the earth’s finest organic ingredients. Meet & shop with Humble Organics at the Oak Brook Artisan Market at Oakbrook Center on Sat & Sun, May 18-19, 2019. This 2-day outdoor market showcases the Midwest’s finest artisans in fashion, food, home goods + art. 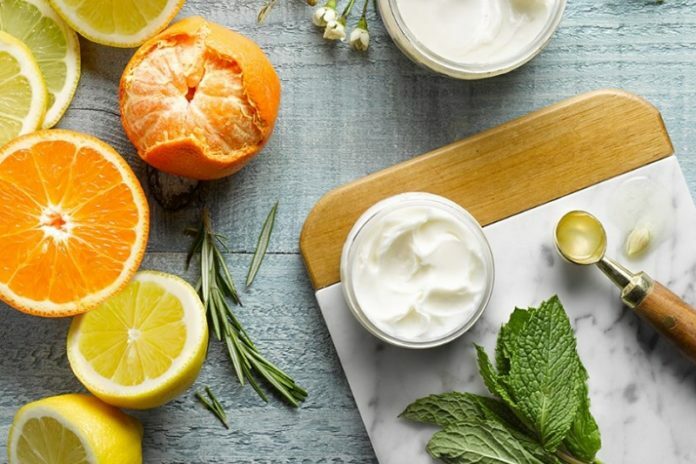 Humble Organics began when Annemarie developed a line of body butters with a base of shea butter and coconut oil that successfully treats her children’s eczema and serves as exceptional nourishment for any skin type. • Bath Bombs – Formulated to emit the perfect scent and tone in your tub that is in no way artificial, overpowering, or toxic. Made with cosmetic clay derived from the earth’s surface as the colorant and essential oils to stimulate the senses. Humble Organics doesn’t use any harsh chemicals or toxins in their products. They are handmade from scratch, in small batches and are a mix of nourishing skincare and aromatherapy in one beautiful package. They are committed to using all-natural and organic ingredients and the products are completely healthy for both adult and children’s skin. Annemarie Ruiz is a busy mother of 3, wife, Food Photographer and now the Founder of Humble Organics. She is on a quest for a cleaner, simpler life and can testify to the fact that what people choose to put in and on their bodies can either cause and worsen or prevent and remedy the body’s ailments, no matter the severity. Annemarie has done her best to live a clean and simple life, making the best choices for her body and gaining knowledge of the earth’s best natural ingredients for optimal health. When she learned her own children suffered with eczema, she turned to her own knowledge of natural remedies instead of relying on prescription drugs.